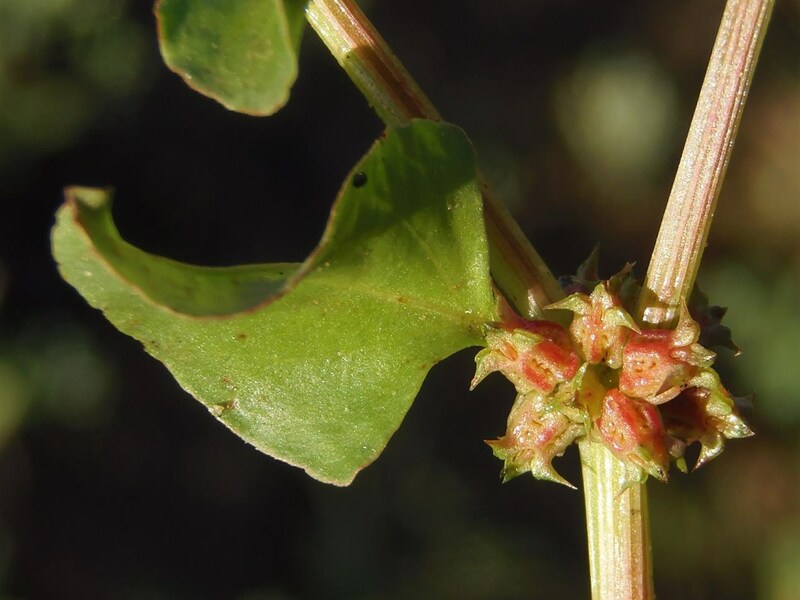 Emex spinosa (spiny emex, devil’s-thorn) is an annual (family Polygonaceae) found on California’s south coast. This Mediterranean native is not yet common in California, but it is spreading rapidly and is known to crowd out native species. It frequently infests disturbed areas, especially in coastal habitats. Emex spinosa’s spiny seed pods stick to people and animals, so it spreads quickly along trails and then into undisturbed areas.